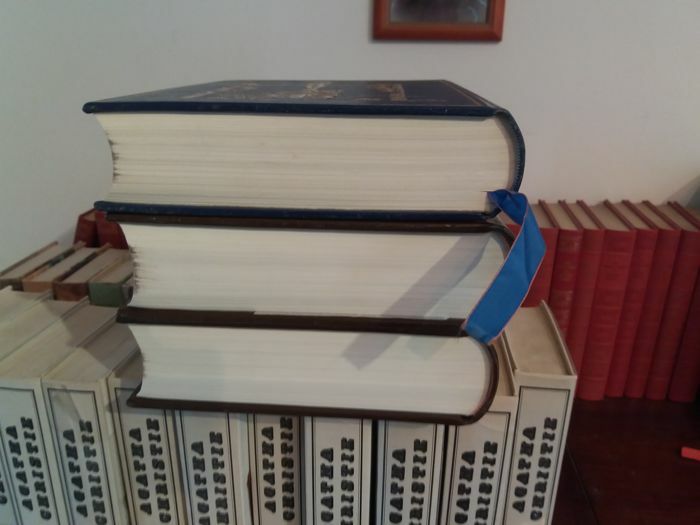 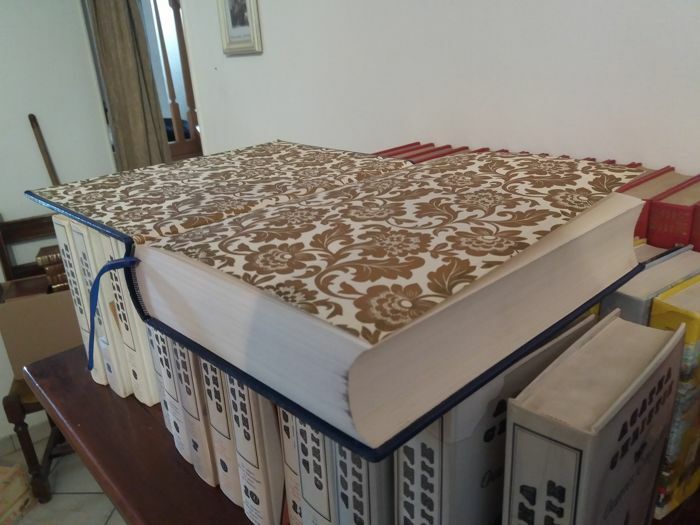 This marvellous edition of the oldest book in the world, the first written History of humanity, was carried out in memory of the ancient Hebrew Scribes, Aramaic and Greeks who, through their hard work and their desire for authenticity and accuracy, have passed to us the sacred text of the Bible. 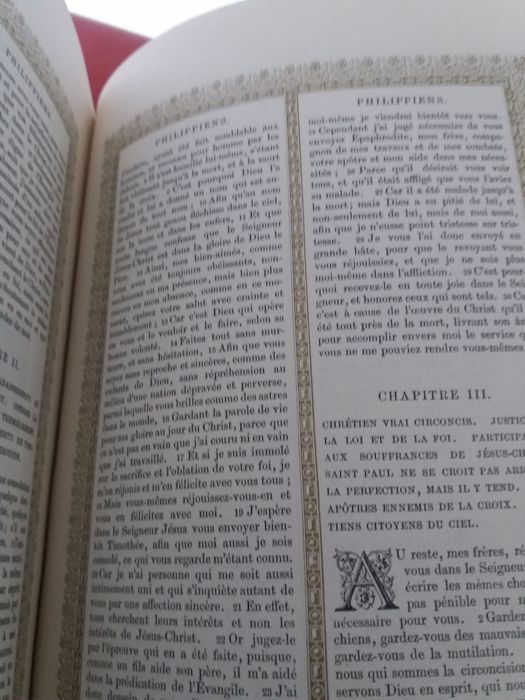 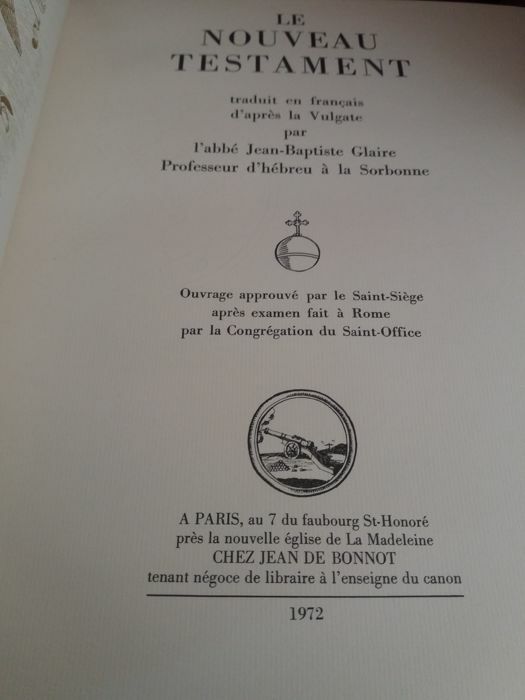 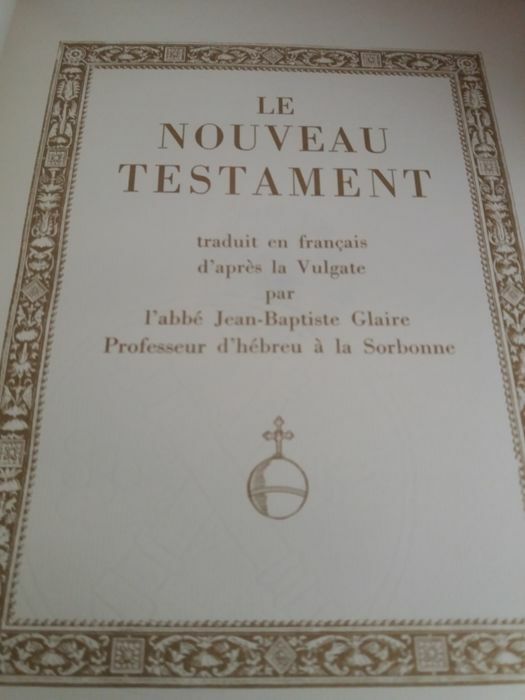 This is a complete translation, called « La Vulgate », set into French by the canons J.J. Bourassé and P. Janvier and bearing the Imprimatur of the Sacrée Congrégation du Saint-Office. 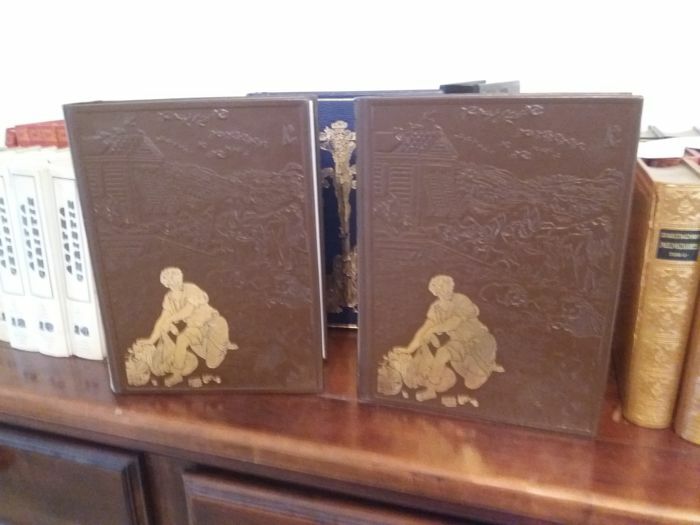 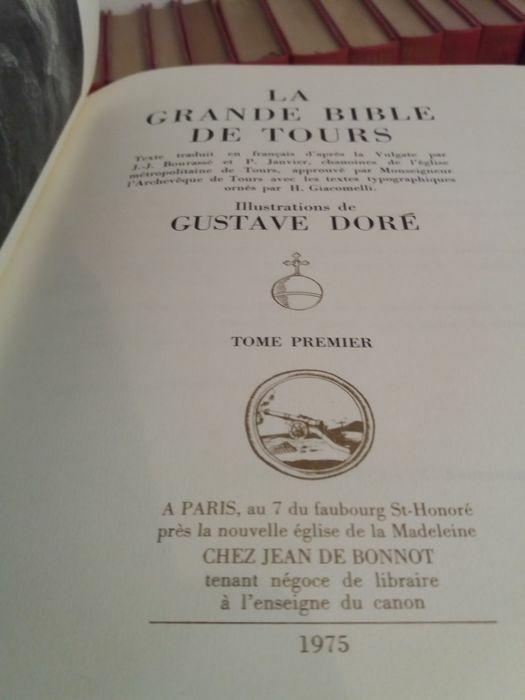 Jean de Bonnot presents this Bible de Tours, the Old and the New Testament, in art collection in the purest tradition of the luxury edition, in 2 large quarto volumes (21 x 27 cm). 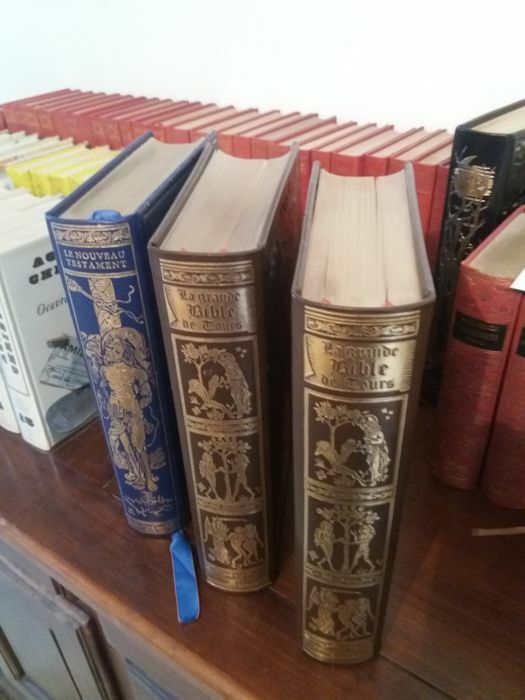 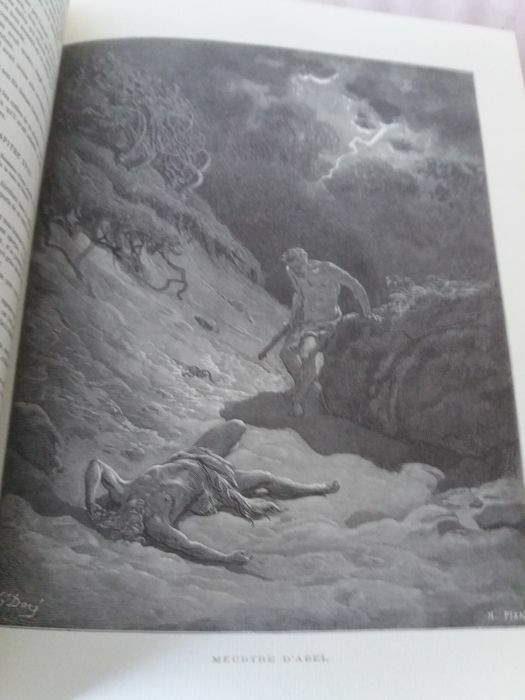 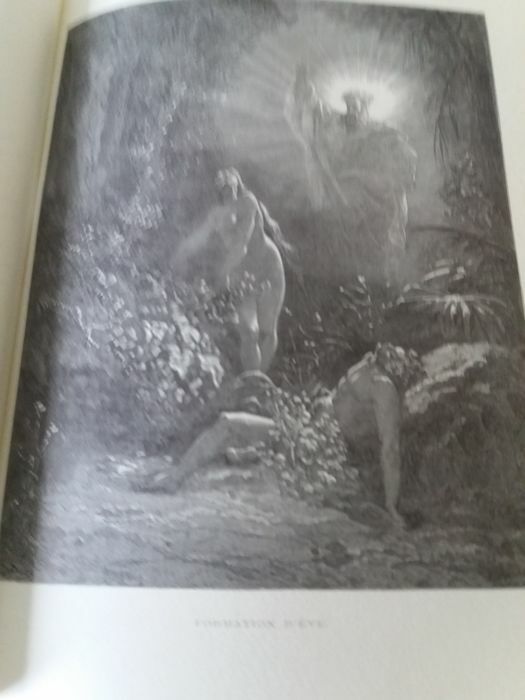 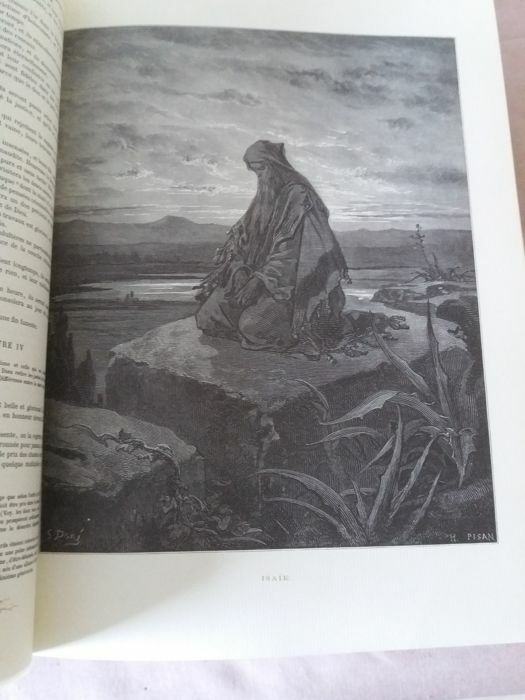 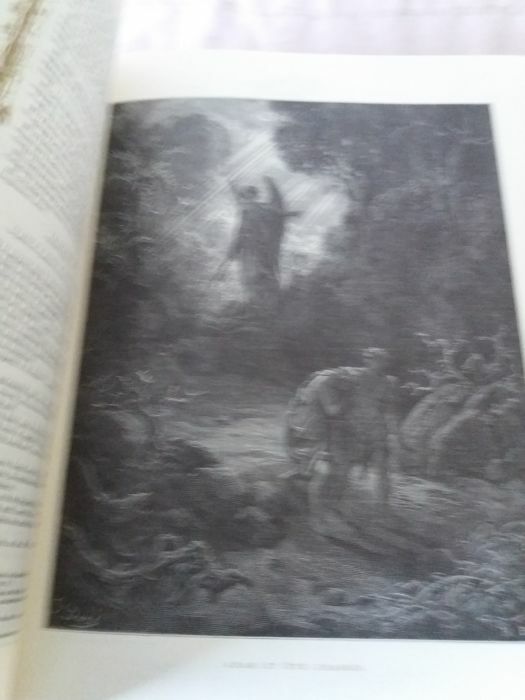 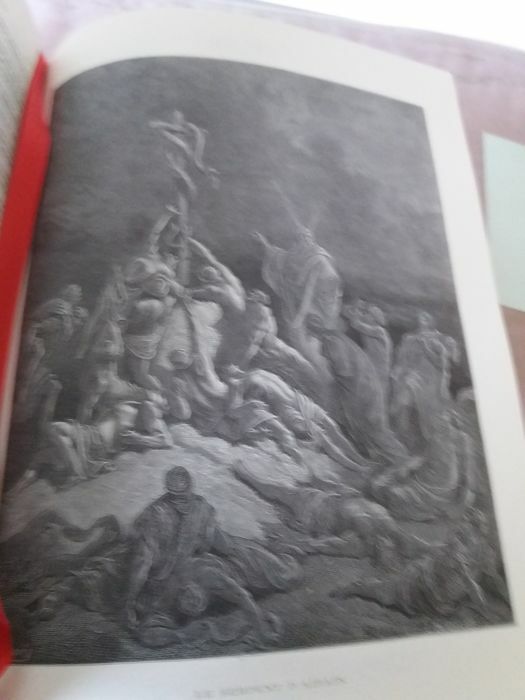 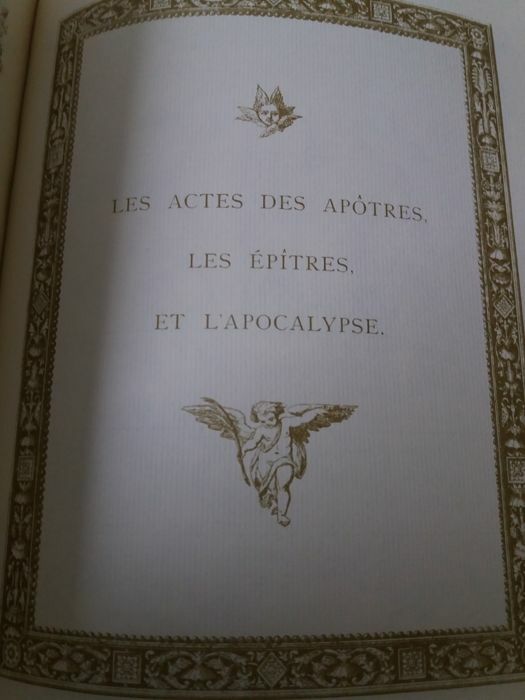 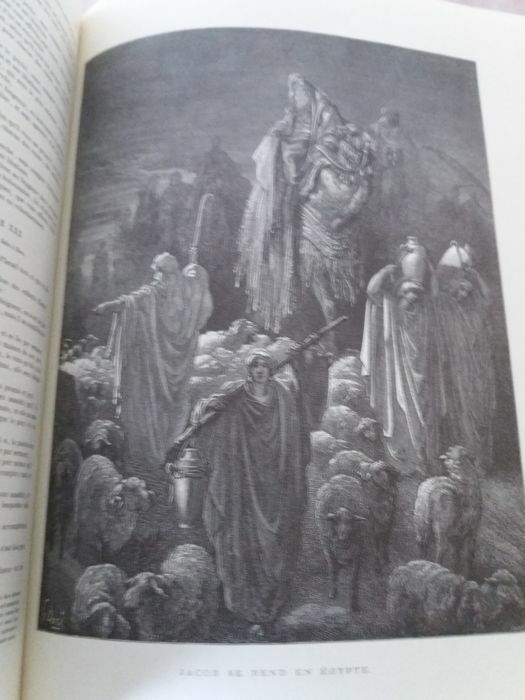 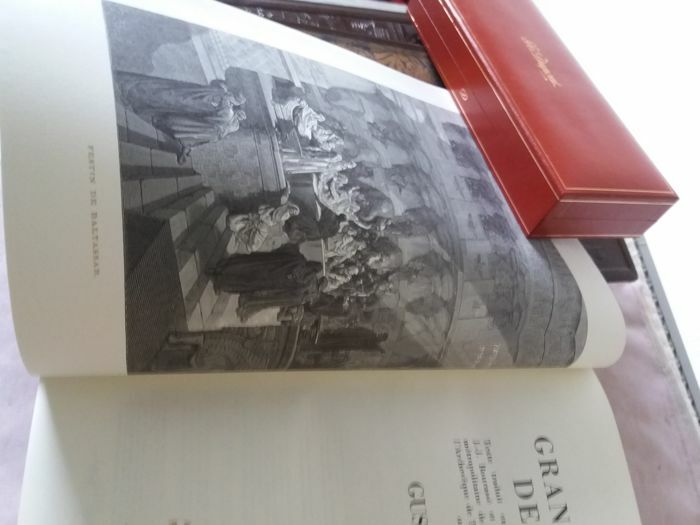 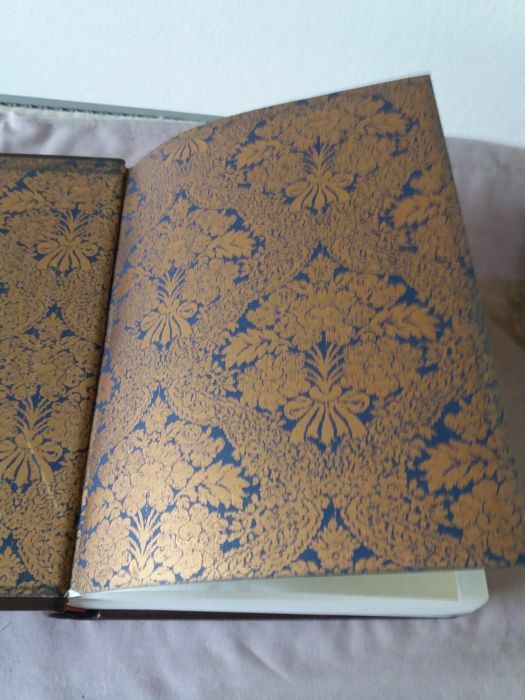 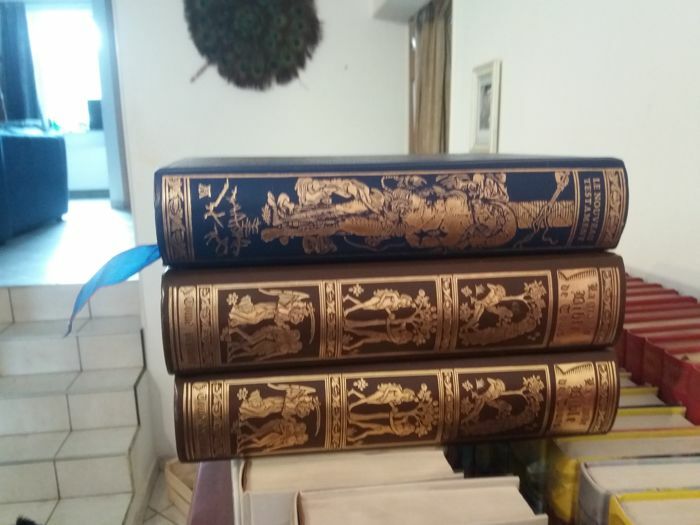 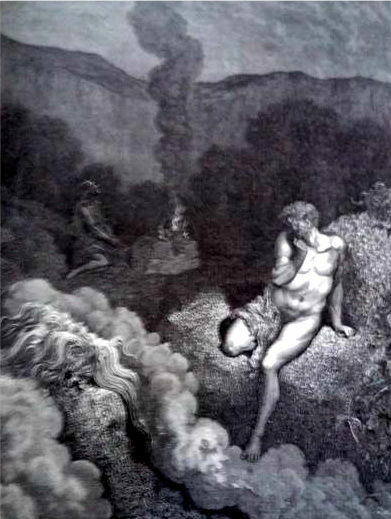 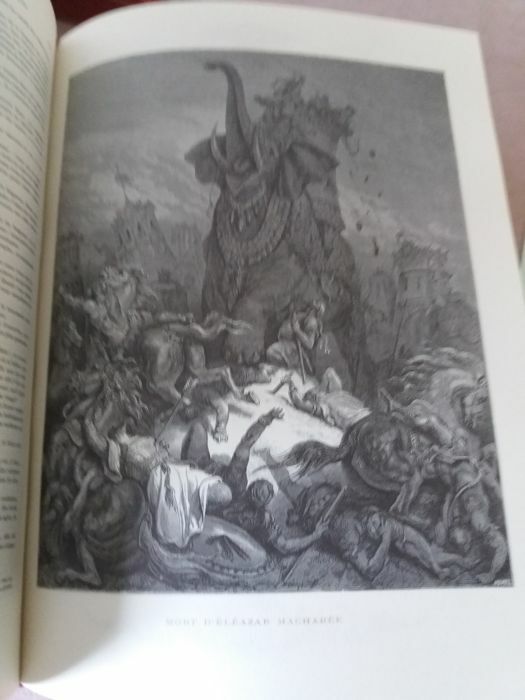 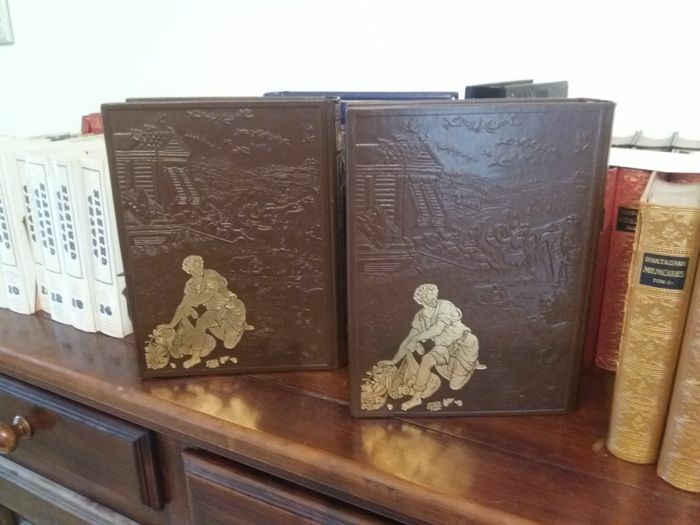 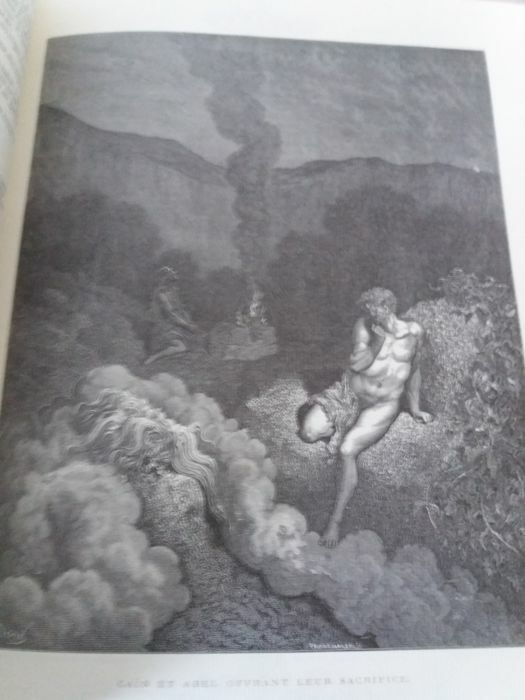 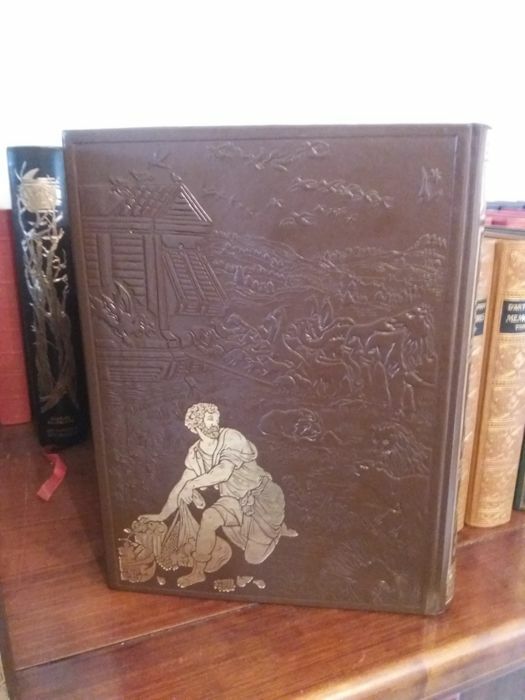 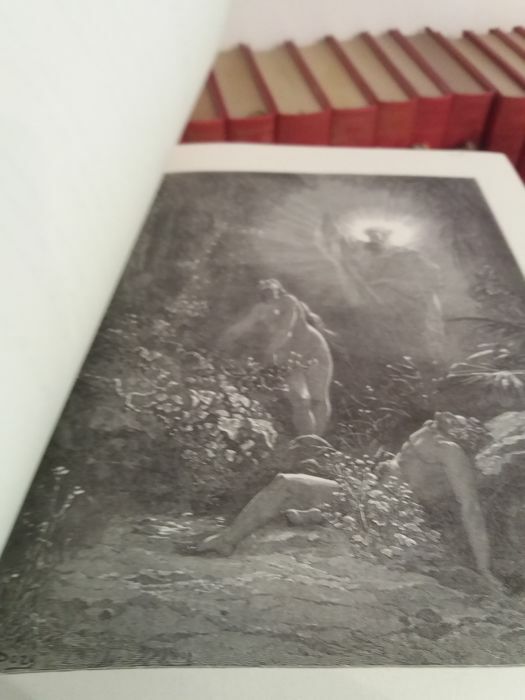 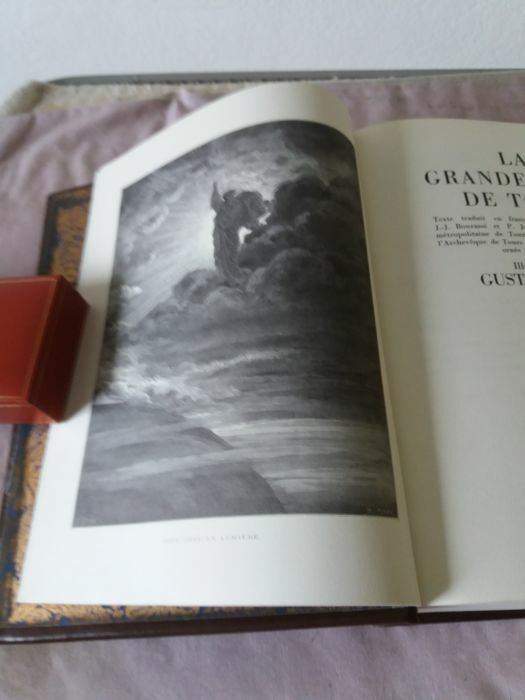 Illustrated with 230 woodcuts of Gustave Doré, 1840 pages of text. 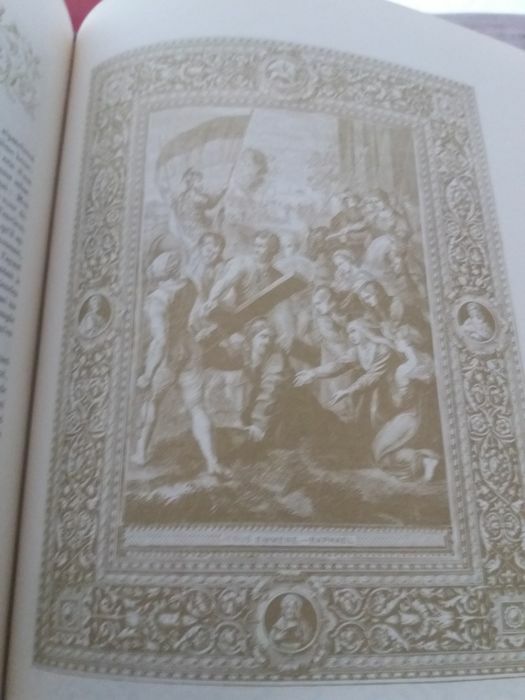 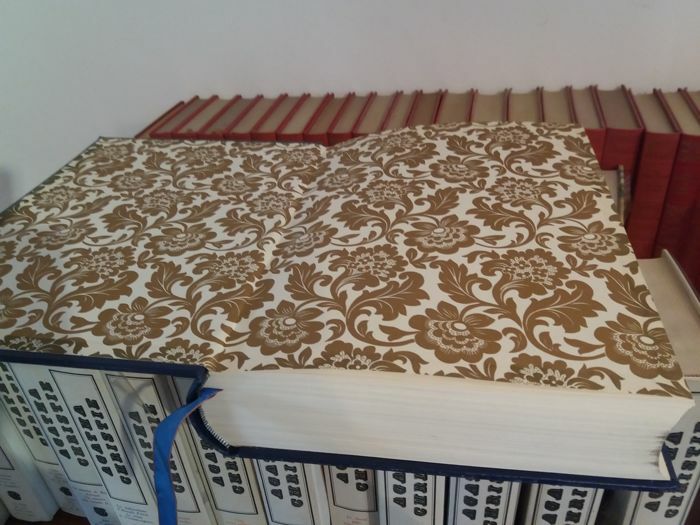 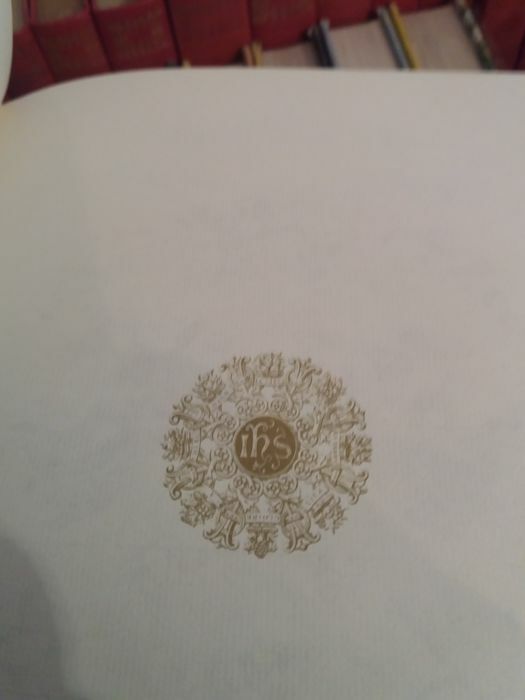 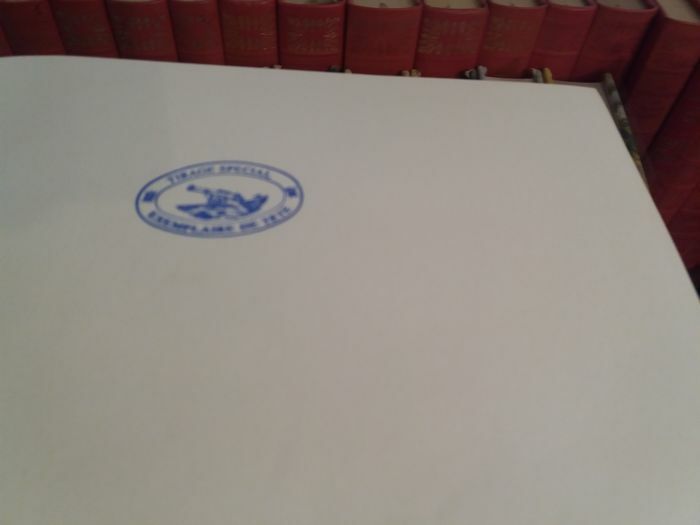 Each double page is enhanced with a renewed decoration printed in silver ink. 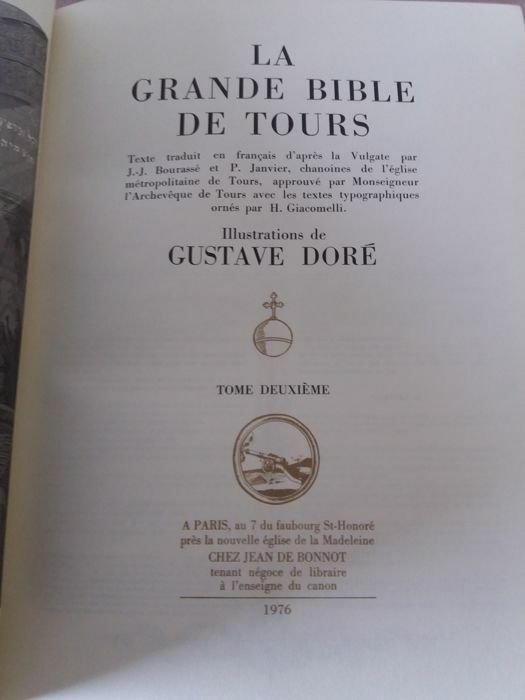 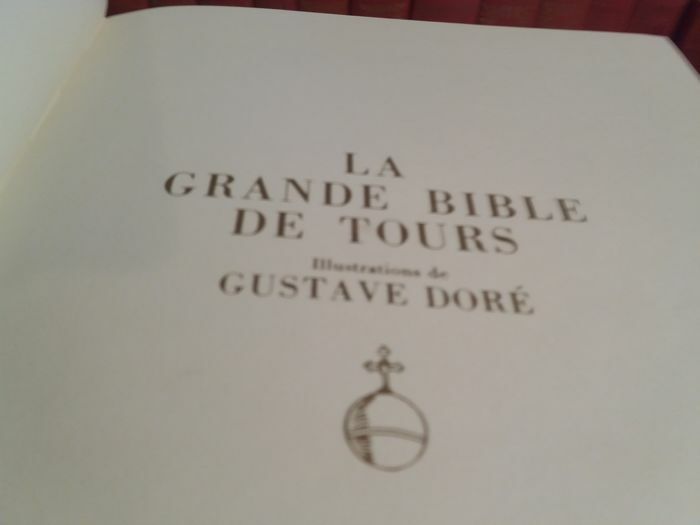 The second volume of the Grande Bible de Tours, printed in gold and silver, contains among others: The Holy Gospels, the Acts of Apostles, the Epistles and the Apocalypse. 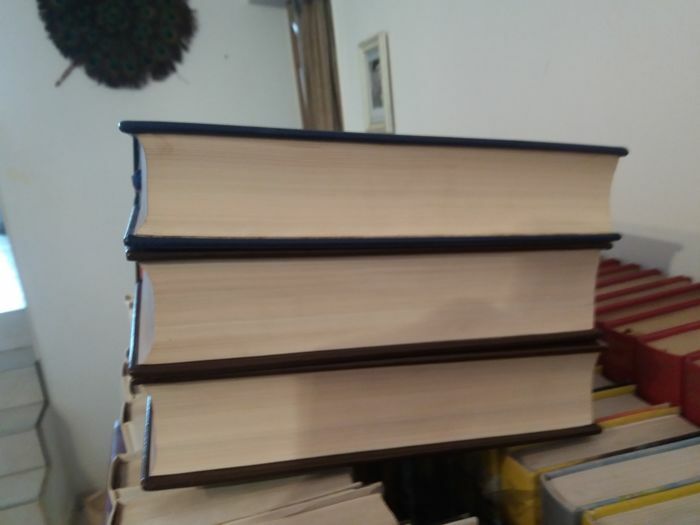 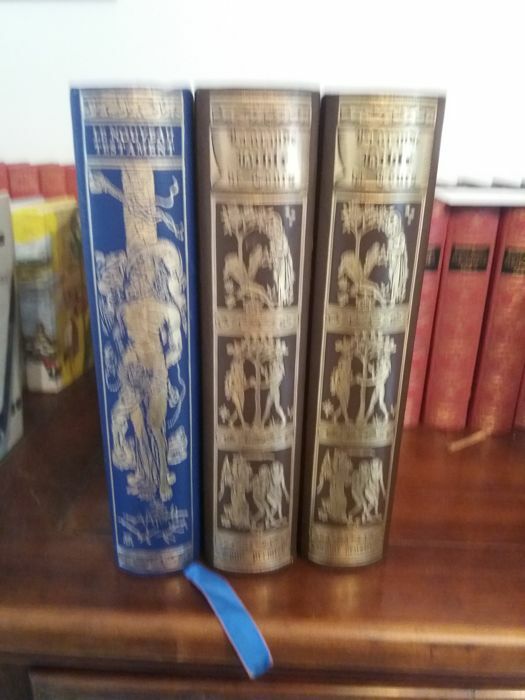 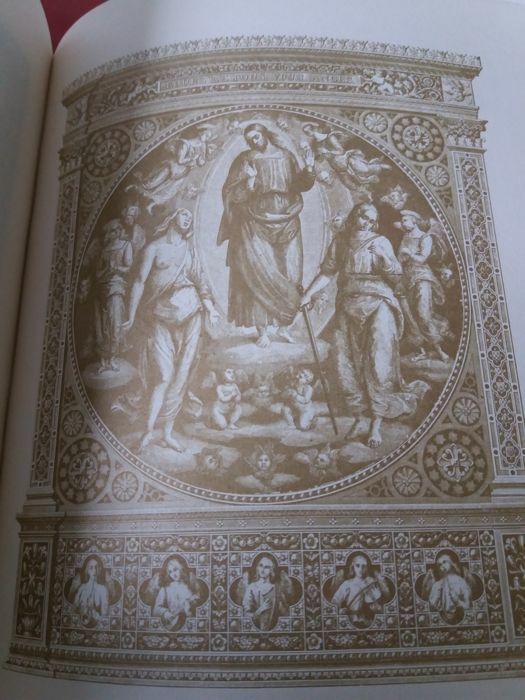 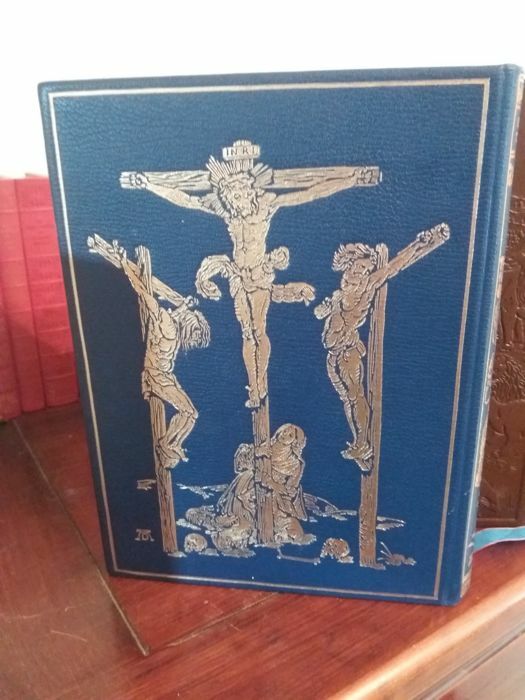 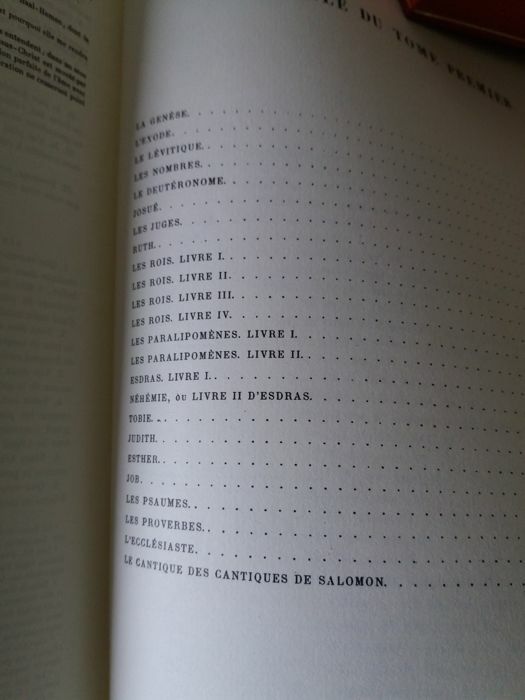 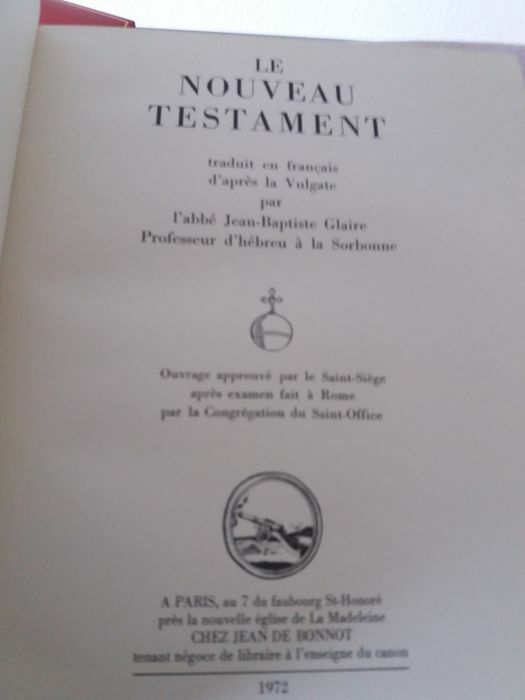 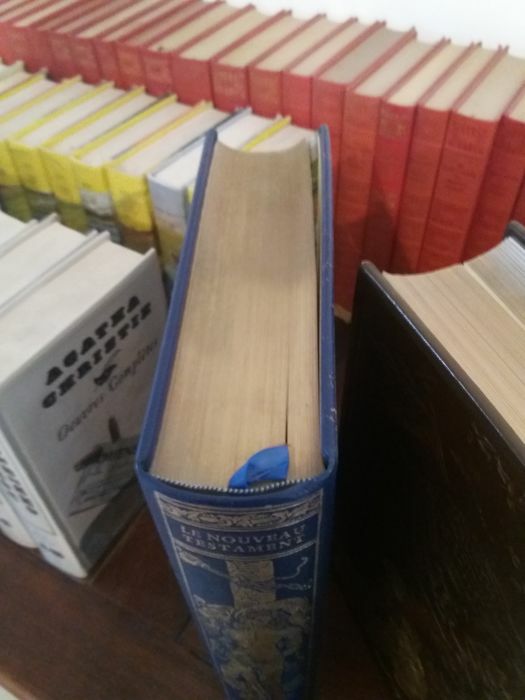 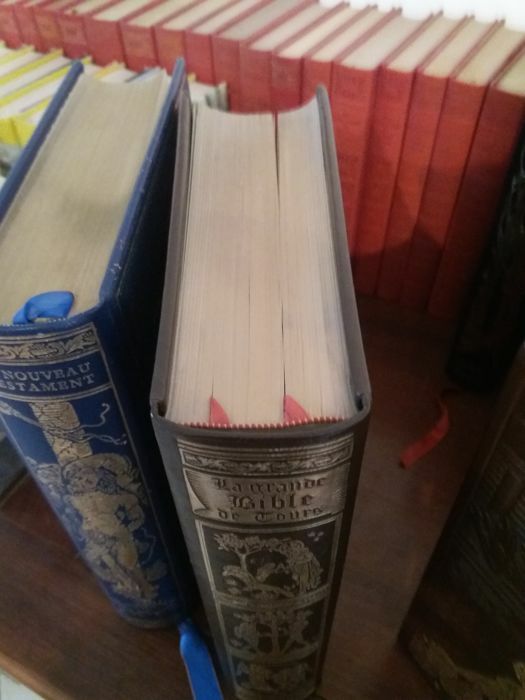 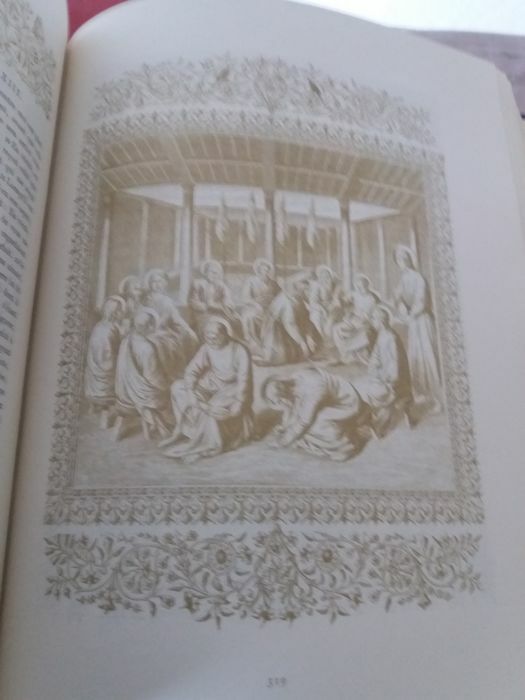 The New Testament, Le Nouveau Testament - Translated into French after La Vulgate by Abbé Jean-Baptiste Glaire (Professor of Hebrew at the Sorbonne), Editions Jean de Bonnot 1972, 546 + 68 pages, 21 x 27 cm. 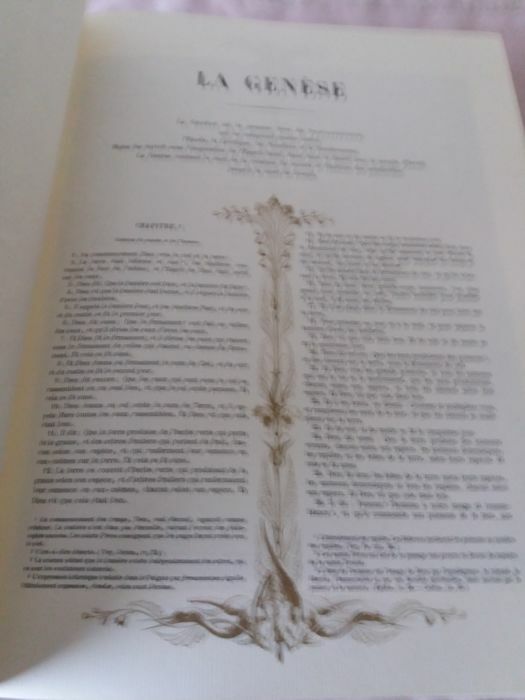 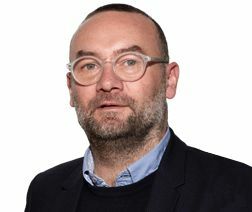 Puoi ritirare questo lotto direttamente presso il venditore: BRAINE L ALLEUD (), Belgio.